Harriet Sanford is the President and CEO of the NEA Foundation. The Foundation is a public charity founded by educators for educators to improve public education for all students. Since its beginning in 1969, the Foundation has served as a laboratory of learning, offering funding and other resources to public school educators, their schools, and their districts to solve complex teaching and learning challenges. During her 12-year tenure with the Foundation, Sanford has transformed the depth and breadth of its programs and grantmaking by investing in educators to improve their instructional practice and unleash their own power, ideas and voices, so that communities, schools and students all benefit. Sanford began her professional journey as a public school classroom teacher, which led to a career spanning more than 30 years in senior executive roles with nonprofit and public organizations, such as the Arts and Science Council in Charlotte, in North Carolina, and the Fulton County Arts Council in Georgia. Her career is bound together by an unwavering commitment to strengthening community by building on the skills, talents and aspirations of each of its members. Additionally, she has volunteered as a board member with more than a dozen nonprofits. 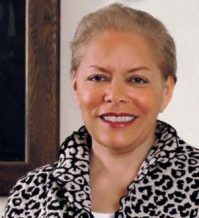 She currently serves on the Board of Directors for the Active Citizen Project, DC Jazz Festival, Caversham Centre (South Africa), Editorial Projects in Education, the Hispanic College Fund, and the National Network of State Teachers of the Year. She also is an advisor to First Book, a donor advisory group member of the Communities for Just Schools Fund and member of the International Women’s Forum of Washington, D.C.
Sanford holds a BA in Education from New England College, a MPA from the University of Connecticut, and was awarded the degree of Doctor of Humane Letters from the University of Connecticut’s Neag School of Education in 2015.